'We are very fortunate to have a teaching/coaching team that is made up of experienced qualified coaches. Their expertise covers all disciplines of swimming from stroke teaching and correction, starts and turns through all aspects of athlete development both land based and water based. They have been consistently producing successful competitive swimmers for many years." All the coaching team are required to have a thorough understanding of the Trafford Leisure Trust Normal Operating Procedure (NOP) and Emergency Action Plan (EAP). These documents shown at the bottom of this page as downloads are designed to ensure our coaches are fully conversant with safety procedures for the leisure centre and that they understand what to do in the unlikely event of an emergency. I have swum since being knee high to a grasshopper. I went through the Stockport Metro club squads and have competed at national level specialising in freestyle and butterfly sprinting. I started swimming teaching during my teenage years and undertook the Level 1 and 2 teaching qulaiifcations. I have also coached at Stockport Metro for 8 years working with a variety of squads from young learners to the national squad. I spent over a year training with Emma Swanwick in 2011 and 2012 at Bolton Metro which was amazing and I learned a lot more about swimming and coaching techniques. I started coaching with Trafford Metro in March 2013 and was appointed head coach in the June of the same year. This is my first head coach role and I intend to make the most of the opportunity and really hope to be able to make Trafford Metro the leading development club in the region. I first joined Stretford Swimming Club in 1965 and swam and played water polo into my late teens. I still hold the record for 10 years and under 25 yards breastroke with a time of 20.1 secs. This is probably due to the fact that the old Cyprus Street pool was demolished in 1977! I returned in the late 1980's to resume my water polo career playing to national league level. I have swum as a master on and off ever since and competed in triathlon as I am also a keen cyclist. I still train and compete to this day and intend to until I no longer am able. I have been on the committee of Trafford Metro since 2007 currently in the position of Chairman. I am a qualified Level 2 teacher/coach and one of only a handful of qualified L2 open water coaches in the UK. In 2015 I set up Openswim UK based at Sale water park to further open water swimming in the region. I am also an ASA licensed official qualified as a referee and an elected member of the Cheshire WP & SA executive and hold the position of Masters Secretary for the Cheshire county. I also sit on the Masters NW committee. In 2016 I was honoured to be made Manchester & District Water Polo & Swimming Association President I enjoy coaching the Youth squad 6 and the evening Masters squad. Jo joined Trafford Metro’ as a swimmer in 1976 when it used to be known as Sale Swimming Club. I swam competitively until age 20 and gaining national times as a breastroke swimmer every year and I competed at the Olympic trials in 1986. In 1985 I became qualified as a swimming teacher and have taught all ages from toddlers to adults over many years. I hold a powerboat level 1 and sub-aqua open water diving certificate as well as a level 2 in sport and recreation and level 1 athletics coach. 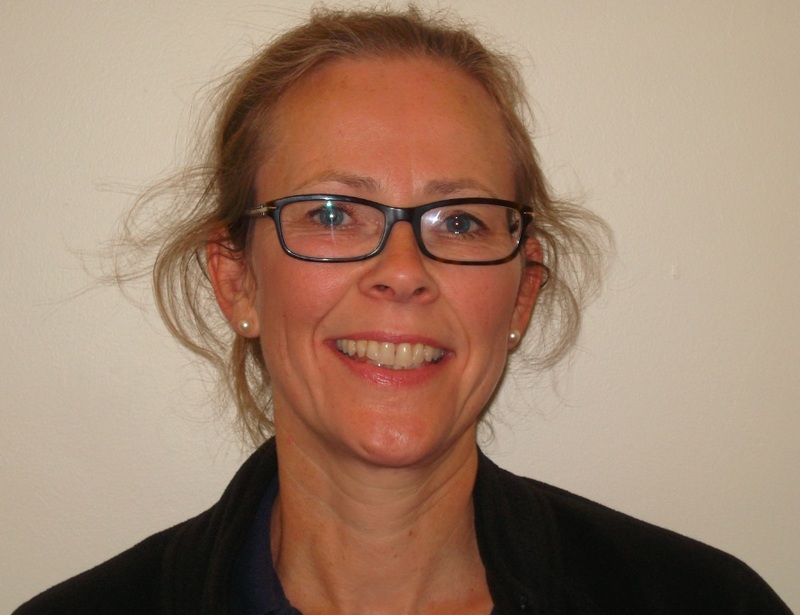 I work as a teaching assistant looking after nursery age children and have completed a number of CPD courses including first aid which complements my NPLQ . I swim in our Masters section and have enjoyed training and competing once again although it is increasingly difficult to fit in alongside my coaching duties. However I was able to win national titles for 100m and 200m breastroke in the 40-45 age group in 2009. I was also fortunate to be a part of the world record breaking 4x100IM ladies relay team swimming the breastroke leg in the 2010 Masters National Championships. In 2016 I was British Masters Champion for 50, 100 and 200m breastroke and almost repeated this at teh national championships but just got pipped into silver for the 200m shortcourse event. I am a fully qualified level 3 coach and have benefited greatly from 15 months of mentoring by our former head coach Emma Swanwick. I also hold a full national pool lifeguard certificate. I stood down from the role of Club Head Coach in November 2010 but currently coach the combined Squad 3and 4 as well as the morning Masters sessions. Dan joined Trafford Metro at the age of 8. He was quickly snapped up as a swimmer of talent and was selected to attend the new Swim Trafford squad. From there he moved to City of Manchester swim squad where he continued to develop as a distance swimmer regularly qualifying for regionals and Nationals. At the age of 16 Dan returned to Trafford to train with us full time. His enthusiasm for the sport saw him attend courses for teaching and he is a qualified level 2 teacher and works with Trafford leisure as one of their teachers as well as Mini Mets and Squad 2 coach. Louisa joined her first swimming club at the age of 11 and caught the swimming bug instantly. At 16, in search of bigger challenges, I moved to Trafford Metro where I was inspired by the coaches and swimmers to push myself and achieve my full potential. In 2010, I set Manchester & District records in 50m and 100m butterfly and went on to represent the District at the National Schools Championships in London for 100m butterfly. Since then, I made the natural transition into our Masters Squad and regularly train and compete all over the country. In 2017 I became national long course champion in 50m freestyle, 100m freestyle and 50m backstroke and set 2 masters Cheshire records for 50m freestyle and 50m butterfly in the 18-24 year age group. I am a fully qualified Level 2 teacher and Level 1 coach and also hold a full national pool lifeguard qualification including AED use. Since 2015 I have been Squad 1 and Masters Fitness coach and regularly assist with our other squads working with swimmers to inspire them to succeed in their goals no matter how big or small, as my coaches did with me! As part of my CPD, I have been attending regular Greater Manchester Talent Sport Coaching workshops, completed an OU course focused on psychology in sport coaching and have learnt Level 1 British Sign Language to provide an inclusive environment for all my swimmers. Elysia joined Trafford Metro at the age of seven. Throughout her time in the club she has competed both individually and in team galas. She has been volunteering as an assistant coach since the age of 14 . Elysia has completed the ASA Young Volunteer Programme and in August 2017 was one of five appointed onto the Swim England National Youth Forum to act as an ambassador for swimming both locally and nationally. In July 2017 after turning 16, Elysia qualified as a Level 1 Swimming Teacher Assistant. I swam at Horwich Swimming Club for 4 years starting when I was 9 and then hung up my goggles for 27 years until I started masters swimming at the age of 40. Since then I have won 27 GB and National titles, broken 16 National records and recently became the world champion in 50m Butterfly 55-59 age group at the World Masters Championships in Budapest. I have been coaching swimming for 15 years and am a qualified Level 2 Swimming Teacher and also hold a full National Pool Lifeguard Qualification including AED use. Dan joined Trafford Metro at the age of 8. He was quickly snapped up as a swimmer of talent and was selected to attend the new Swim Trafford squad. From there he moved to City of Manchester swim squad where he continued to develop as a distance swimmer regularly qualifying for regionals and Nationals. At the age of 16 Dan returned to Trafford to train with us full time. His enthusiasm for the sport saw him attend courses for teaching and he is a qualified level 2 teacher and works with Trafford leisure as one of their teachers as well as Mini Mets Academy head coach and Squad 2 coach. Having qualified as a Level 2 Swimming Teacher in September 2005, under the close mentorship of Moira Hampson, I became involved with both Swimlink and Swimtime, teaching all ages of children from Beginners to pre-club. I have been a swimmer all my life, competing for Durham City A.S.C. at North Eastern Counties level as a Youth and continuing with competitive swimming and water polo throughout my French Studies degree at Lancaster University. Nowadays I swim to relax and keep fit whilst watching my son develop and enjoy his swimming. I currently teach adults for the Trust and am embracing the challenge of schools swimming which is an essential component of the National Curriculum particularly from a Life Saving point of view. I am thrilled to be a regular teacher for Mini Mets.